Today is Grundlovsdag, a.k.a. Denmark’s birthday! June 5 marks the anniversary of the signing of the Danish Constitution—all the way back in 1849! This effectively ended the absolute monarch that dated back to 1660, and established the constitutional monarchy that exists to this day. Coincidentally, it’s also Danish Father’s Day. Did you know? WIT Agent Nancy has Danish heritage! Most museums in Denmark have free days for adults once a week—the Museum of Copenhagen for instance, is free for all on Fridays, and the Thorvaldsen Museum, on Wednesdays. Be sure to bring the kids—all national museums have free entry for children below the age of 18! Look for Copenhagen’s Open-Air Museum and the Danish Music Museum—free for all! New Copenhagen Tours offer guided walks in the summer. All guides sign up on a volunteer basis, and it’s donate what-you-will. You can also join a free city walk sponsored by the Museum of Copenhagen—or simply download a free app for a self-guided tour around the city. Summer in Copenhagen is a time for cheap festivals and free fun in the sun! There’s no charge for instance for entry to music festivals like the Copenhagen Jazz Festival! Pick up a ticket to the Tivoli Gardens (110 DKK / US $16), and open-air concerts and symphonies—from Saturday Swing to Friday Rock—are included! It doesn’t cost a penny to admire most of the famous sights in Copenhagen: walk around the historic Nyhavn Harbor or climb the top of Christiansborg Palace. Don’t miss the lovely Little Mermaid—who despite being a victim of many vandals—has stood out as the local beauty for more than a hundred years. Hop on a bus to the Danish graveyard of Assistens—founded in 1760—to pay your respects at the graves of folklorist Hans Christian Andersen and philosopher Søren Kierkegaard. Copenhagen has a reputation for world-class cuisine—as well as pricey dinners! But eating out doesn’t have to be out of budget. During lunchtime, many establishments will run specially priced dishes. Drop by that Michelin-starred restaurant between noon and 2PM, and keep your dinners simple. Look out especially for places under Bib Gourmand, an international award of exceptional food at reasonable prices. Nature’s never far from Copenhagen! Pack your tent and set up at one of the 500+ campsites just outside of the city. Choose your idyllic setting: beach, forest, lakeshore—and practice your skills at hygge, the Danish art of coziness from your snug tent. London on a Budget–Let’s Check it Out! You can grab a taxicab OR if you don’t want to spend crazy amounts of money, opt for the Heathrow Express. This sweet commuter train is comfy, will take you right into downtown, and set you back only about £18.50. It’s the best option that’s both comfortable and convenient, even with all your luggage. London is a huge city and offers its visitors a wealth of free things to see and do. Look out for those free museums like the British Museum, Tate Modern, National Gallery, Museum of London. Stretch out a picnic in sunny outdoor spaces: Hyde Park, Kensington Gardens and Hampstead Heath. Or simply wander the streets—summertime is the perfect season to catch some impromptu performances and artists. Transportation in London doesn’t come cheap—you can spend up to £15 per day if you’re not careful. The Oyster Card is great for travelers staying in London more than three days. It’s a rechargeable card that gives you access to the Tube, DLR, Overground, TFL Rail and most national rail services in London. Plus it’s much cheaper than buying a single paper ticket. The London Pass is for all those museum nuts out there. This card grants a discount for those tourist attractions that come with a price tag: Tower of London, Westminster Abbey, Buckingham Palace, Britain at War Museum. Plus you get free public transportation—so if you’re a museum fan, make sure you pick up this pass instead of the Oyster card. Ask your agent at Willamette Intl Travel about London Passes—we can arrange them well before you leave USA! Our agents at Willamette Intl Travel can set you up with an affordable, context-rich tour of London. Whether your passion is food and markets, art history, or modern metropolis—we’ll find one just right for you. Remember to pack good walking shoes, a must for any day out exploring in Europe. Willamette Intl Travel has arranged trips to London for almost 40 years! What do you expect, when our founders were born in England? 🙂 Call us at 503-224-0180 or email info@wittravel.com. Hunting for Authenticity? Check out Trastevere. Rome’s sweet neighborhood may be a bit off the tourist track, but head here for an authentic glimpse to Rome. With cobbled streets and ancient houses, Trastevere retains much of its historical charge. Students flock here in droves, thanks to the many universities—and attracted such famous patrons like Richard Teitelbaum, Sergio Leone and Ennio Morricone. It’s a great place to try some of the best food Rome has to offer—including a little trattoria where shots are served in chocolate cups. Local guides can make all the difference. Ask us about our local contacts in Rome, A&R Tours, run by Adriana and Renato from Portland and Naples, respectively. Their team of local guides can arrange everything from private Pompeii tours to dinners in the Tuscan countryside. Join them for personal and tailor-made tours enriched by a mutual love of art history and Roman mythology—and you won’t be surprised to see that their TripAdvisor rating is almost 100%! Good shoes are a must! Rome is not the “City of Seven Hills” for nothing. In fact, there are actually ten hills in modern Rome—so it should come to no surprise that Rome is hilly. Guidebooks may write about the charming strolls of Rome but may neglect to mention that this means anytime you go anywhere, you’ll be walking uphill and downhill, up steps and down staircases. What may look like a simple line from the Vatican to Trastevere, may in fact involve a lot of ups and downs. Invest in some sturdy, breathable shoes before you go. Gianicolo Hill has some of the best panoramic views. Speaking of hilly, test your legs out on the Via di Gianicolo, which runs from the Piazza della Rovere up one of the tallest hills in Rome. The steep hike is a bit challenging, but there are thankfully benches and cafes along the way to rest for a moment or two. And the panorama at the top—well, it simply can’t be beat. Know your way around transport. You may fly into Rome, you may take a train into Roma Termini, the central train station. As long as you avoid driving into or within Rome, you’ll retain your sanity—traffic is chaotic and drivers are known for their casual disregard for the rules. Instead, take advantage of the numerous pedestrian walkways—the most romantic way to discover the hidden corners of the city—or by the impressive public system of buses, trams, trolleys, metro and light railways. If you’re in town for at least 3 days, try the Roma Pass—just 36 euros will get you free admission to two museums, full access to public transport and discounts on performance and exhibition tickets. Extra Fun Fact: If you want to go all out on luxury, book a table at La Pergola. This magnificent restaurant boasts 3 Michelin stars and a breathtaking view from Monte Mario. You’ll wine and dine on the best culinary delights Rome has to offer, from white truffles to foie gras. Of course, the price tag is nothing to laugh about—the nine-course set meal will set you back about 300 euros per person! But hey—when in Rome? It’s springtime in the Pacific Northwest, and that means it’s time to hit the outdoors! Get your adventure on at Stanley Park, an enormous 1,000 acres of outdoor recreation. A whopping 500,000 cedar and fir trees call this area home! Here you’ll easily while away a few enjoyable hours at the zoo, train, swimming pools, beaches and historical landmarks. Grab lunch at the Fish House or Waterfall Cafe, or go for a quiet tea hour at the Teahouse. The star of the show is the Vancouver Aquarium, which opened in 1956 and regularly hosts education events, exhibitions and kid-friendly activities. Look for the sea otters, beluga whales, anacondas, sloths, eels and dolphins. Like our hometown of Portland, Vancouver is popular with the food truck crowd. Grab a snack, meal or dessert at incredible prices. There are literally dozens of varieties to choose from—whipping up everything from tacos, handheld pies, and bento boxes, to waffles, fresh-squeezed smoothies, and Jamaican jerk chicken. Vancouver’s microbreweries are the talk of the town—don’t leave without touring a few! The best bars are found in East Vancouver, where you’ll find most of the top breweries all bundled within walking distance of each other. Granville Island Brewing, Canada’s first microbrewery, opened as early as 1984. Sample a flight of popular brews at 33 Acres, who craft a range of delicious floral IPAs, schwarzbiers, and lemony Belgians. Granville’s gorgeous Public Market is home to a fun assortment of fresh produce and handmade products. Support local art and pick up some homemade fine jewelry and photography. This is a great place to pick up a souvenir or gift with handmade soaps or silk scarves. Get a pre-dinner scoop of old-world handcrafted gelato at the Bella. This upscale gelateria is immensely popular with visitors and locals alike, and it’s no wonder—with original flavors like Amarena Cherry, banana bread, earl gray, lavender, matcha green tea, and fior de latte. They also serve sorbets (can you say strawberry lime?) and excellent coffee. Flamenco Dinner. Flamenco is one of the most iconic forms of dance in the world, and it originated in Spain–so be sure not to miss it while you’re there! Madrid has a range of venues that offer Flamenco shows with a traditional Spanish dinner, and this is a great way to enjoy some wonderful, passionate dancing and some good food at the same time. Metro de Madrid. Madrid has one of the best public transit system in the world. As there tends to be traffic, it’s best to stay off wheels, and head to the easily navigable bus and metro.Ticket machines are multilingual, and tickets are sold at a fraction of most major Western European intercity lines. Watch a Game of Football. Spain is one of the best in Europe when it comes to soccer–or football as it’s known in Europe–so be sure to catch a game while you’re there. An afternoon with avid fans can be fun with friends or your kids! Madrid hosts both the globally renowned Real Madrid and the underdogs of Atletico Madrid, giving you ample chance to catch a game during the season. Classical Art of the Highest Order at the Museo del Prado. Museo del Prado boasts a remarkable collection of classical art from the Renaissance is one of the best museums in Europe, and boasts a superb collection of classical and neo-classical art from all over Europe. From Spanish masters such as Velasquez and Goya to Flemish and Italian artists like Titian, Rubens, Botticelli and Caravaggio, this is an interesting and beautiful collection that is well worth exploring. Visit the Catedral de la Almudena. The unique and ornate cathedral is one of the largest in Europe. The construction took over a century, only being consecrated in 1993. Be sure to stop by to admire the variety of architectural styles, ranging from a Neo-Gothic interior with a Romanesque crypt, to a pop-art décor by various contemporary artists. And while you’re there… be sure to delve into succulent Madrid cuisine! Bacalao (salted and dried cod), jamon (ham), a variety of aged cheeses (manchego anyone? ), patatas bravas (smoky potatoes fried in oil with aioil), pimientos de padrón (spicy fried peppers), Cocido Madrileño (pork stew), bocadillo de calamares (fried squid sandwich), crispy churros con chocolate, or the special treat of oreja a la plancha (fried pig ear). Top it all with a pitcher of tintos de verano (sangria with carbonated water) and you’ll be all set for the evening! Our Agent at Willamette Intl Travel have been sending clients to Madrid and Spain for decades! We can arrange excellent contacts, tour guides and hotels for a fun and memorable trip. Call us at 503-224-0180 or email us at info@wittravel.com. Hasta pronto! We all love the City of Lights, but who doesn’t also love to take a day excursion to see the nearby towns and countryside? Auvers-Sur-Oise. Less than an hour from Paris is the village of Auvers-Sur-Oise, notable as the location where Van Gogh spent the last two months of his life. Take a leisurely stroll through the luscious green village and visit landmarks such as the famous church Van Gogh painted, the cemetery where he is buried, the auberge where he spent his last days, and the house of Dr. Gachet, one of the painter’s last subjects. Fontainebleau. This lovely historical town is renowned for the scenic Forest of Fontainebleau and the historical Chateau de Fontainebleu. It is a weekend getaway for many Parisians as well as a major tourist attraction (though less popular than Versailles). The town is very navigable on foot, as there is only one main artery, the Rue Grande, which connects the castle to the opposite edge of town and maintains a collection of lovely shops. With origins dating back to the 12th century, the chateau was the preferred residence of French kings and emperors for 7 centuries, who embellished the building and the gardens to their present grandeur. If you can, visit during the weekend, where its streets come alive with the Sunday morning food market. Make Fontainebleau one of your stops in the region, before exploring nearby Barbizon, Milly-la-Foret and Samois-sur-Seine. The castle is open every day except Tuesday, January 1st, May 1st and December 25th, from 9h30 to 17h in winter and from 9h30 to 18h in summer. As of April 2011, the entrance fee for adults is 10 euros; children below 18 enter free. Giverny. A small village 80km mwest of Paris, Giverny is best known as the rural retreat of the Impressionist Claude Monet. The paintings of haystacks, cathedrals and waterlilies come from here. As Giverny tends to get a bit crowded, it’s always best to arrive early to avoid the throngs. Explore Monet’s House and garden and the Museum of Impressionism, best visited with a guide. You can also try one of the nature trails that wind above Giverny, with panoramic views of the village, Seine valley and neighboring town of Vernon. Just make sure you where sturdy shoes or hiking boots! Call Willamette Intl Travel to book your trip to France today! We have all traveled extensively through the country and would love to arrange the perfect vacation for you and your family! Call 503-224-0180 or email info@wittravel.com today. Taking advantage of free stopovers in Reykjavik with Icelandair? Don’t know what to do with your extra time? Here are some suggestions for a few days in the capital city. This classic day trip takes you out to the most accessible sights in Iceland. 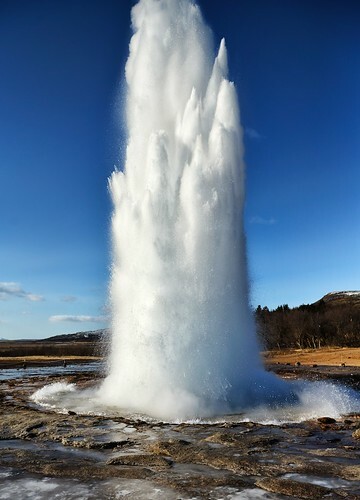 Stop at Geysir and Strokkur hot springs, then check out the powerful Gulfoss waterfall. Visit Thingvellir, the site of the oldest functioning parliament in the world. Your visit will also include a visit to the Nesjavellir power plant (weather permitting) and the charming village of Hveragerði. 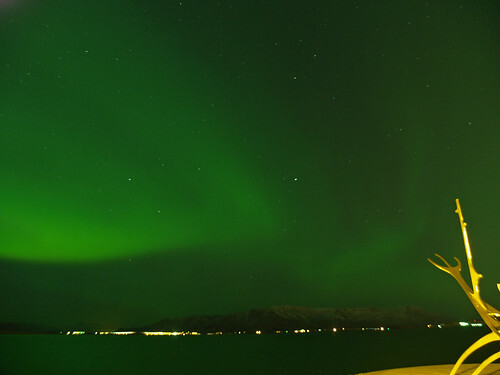 Don’t miss the exceptional opportunity to view and photography the Northern Lights! Only available from September to April, this tour will take you on a mysterious night trip far away from the city’s lights. Only have a day’s window in Reykjavik? Head to the Blue Lagoon, one of the most valuable tourist destinations in Iceland. 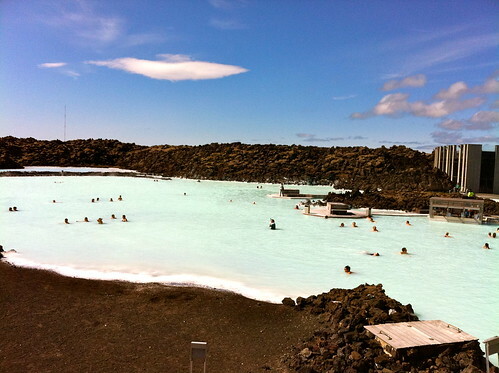 The Blue Lagoon lies between Keflavik airport and Reykjavik, allowing easy access for folks on layover. Bathe in warm waters or enjoy a spa mud treatment surrounded by lava fields and snow-capped mountains. Embark an adventure with an expert guide to hike and ice climb on this magnificent glacier! Explore the rugged terrain with provided ice axes and crampons—beginners welcome! View some spectacular ice formations on the glacier tongue, from crevasses, sink holes, and jagged ridges. Once you’ve had your glacier adventure, stop and admire Skogafoss, one of Iceland’s largest waterfalls. 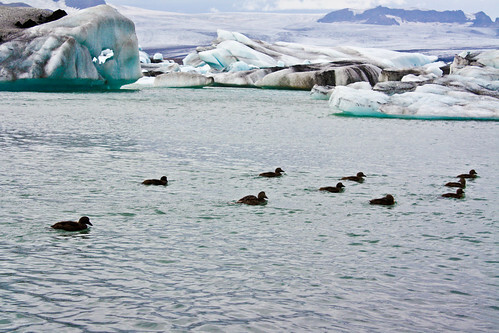 Take a full day tour to South Reykjavik and the stunningly gorgeous Jokulsarlon glacial lagoon. Enjoy a scenic drive past picturesque villages, through the vast desert of Skeidarasandur, and pass Iceland’s biggest volcano, Oraefajokull. At the lagoon, you’ll enjoy a boat ride through the ice lagoon. This tour is seasonal, operating from 1 May to 31 October. WIT Agent Wailana will be heading to Iceland next week. Stay tuned to her first hand account! Summer airfares are now open on the nonstop Seattle to Reykjavik! For more information booking a holiday in Iceland, call 503-224-0180 or email info@witravel.com. Did you know that you can book free multi-day stopovers in Reykjavik? Yes! Call us to find out how!